If you haven’t had much family time together, then Scotland Yard is where you definitely have to head to. Located in Zirakpur, Scotland Yard is a casual diner / lounge that serves an array of North Indian, Continental and Chinese delicacies. The restaurant features comfortable sofas and a TV that screens live sports or music that gives you the right feel to just wine and dine and groove along some great music. The restro also has a well-stocked bar for you to grab a drink or two from. 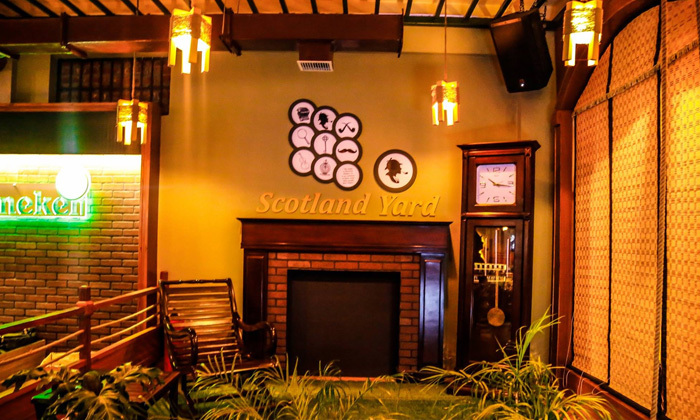 All of this paired with mouth-watering food, makes Scotland Yard a must visit!